Walmart's got a great 1080p gaming PC on sale today for $570 featuring a Ryzen 3 2200 and Radeon RX 580. Yesterday we spotlighted a great gaming rig from Walmart, and today we have an even better one. The retailer is selling an AMD-based Cybertron GameStation that would be awesome for 1080p gaming for $570Remove non-product link. Unfortunately, Walmart’s delivery and pick-up times for this rig are scheduled for Monday, February 11, so that means you won’t be able to use this PC in-time for the launch of the The Division 2 private beta this weekend, but it’ll be in your hands well before the game’s official release in March. 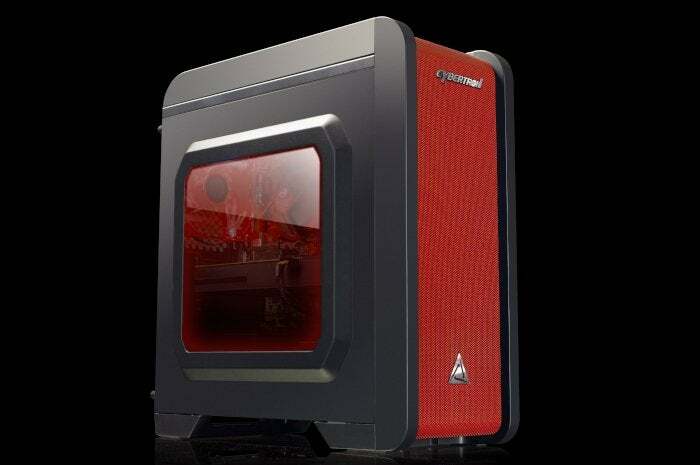 Walmart’s Cybertron GameStation features a quad-core, 3.5GHz Ryzen 3 2200G APU, 8GB of RAM, a 1TB hard drive for storage, and a 120GB SSD boot drive. AMD’s APUs are surprisingly decent for gaming, but there’s no beating a discrete graphics card. This particular rig is rocking a 4GB AMD Radeon RX 580, but you've still got a great rig for 1080p gaming with all the settings maxed out. And you might get some decent 1440p performance as well, even if it's not quite as good as the 8GB RX 580. This is also your last chance to get in on AMD’s Raise the Game Bundle, which ends on Saturday. If you buy this desktop before then you are eligible to get two free games for free from among Devil May Cry 5, The Division 2, and Resident Evil 2. This story, "You can score a great 1080p AMD Ryzen and Radeon gaming rig for $570 at Walmart today" was originally published by PCWorld.